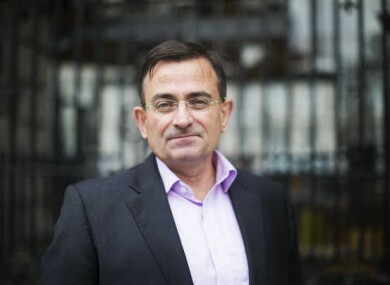 EDDIE HOBBS HAS left Renua – just 18 months after the party launched. The financial advisor, who founded the party along with Lucinda Creighton, believes Renua needs to reposition itself as a liberal democrat party. A spokesperson for Renua confirmed to TheJournal.ie that Hobbs stepped down as president this morning, adding that there was no falling out. In an extensive interview with this website last year, Hobbs said that thousands of people had expressed an interest in the party as it was forming. However, the party failed to win a single seat in the Dáil in the last election despite running candidates in 26 constituencies. Creighton, Billy Timmins, Terence Flanagan and senator Paul Bradford all lost their seats. Email “Eddie Hobbs has left Renua”. Feedback on “Eddie Hobbs has left Renua”.